Lunch is served everyday in 2 seatings: 11:30am and 11:45am 1:00pm and 1:15pm Reservations are available for 1-4 guests for lunch. Dinner is served everyday in 3 seatings: 5:00pm 7:15pm 9:30pm Reservations can only be made for parties of 2 for dinner. Two blocks south of the Christopher 1 stop. 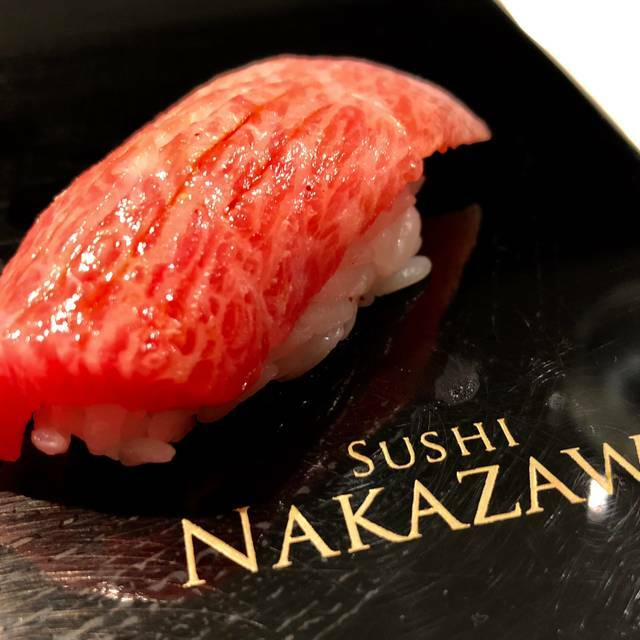 Reservations for Sushi Nakazawa are available only on Resy. Please use Resy for all reservations. Our 50th bdays celebration was well noted. We got some extra uní and bday candles in our lychee sorbet! Missed Nakazawa San, but didn’t expect to see him on a Monday. A great special occasion place that spoils sushi eating anywhere else. Food itself is high quality and sake also very tasty. Delicious. But somehow doesn’t match my expectation. Chef seems not pay attention enough. La miglior cena a base di sushi della mia vita, una delle migliori cene in assoluto. Dimenticate i pur buoni uramaki fusion e colorati di alcune rinomate catene milanesi. Qui c'è la più pura tradizione del sushi in forma di nighiri. Non dovete scegliere nulla, solo sedervi al bancone (possibilmente, perché è certamente più interessante di una cena al tavolo), guardare i maestri al lavoro, ascoltare il nome del piatto in giapponese, prontamente tradotto in inglese dalla cameriera alle vostre spalle e poi gustare ad occhi chiusi. OK, non è cheap, ma non è neanche un ristorante qualsiasi. Il servizio è di alto livello e la qualità eccezionale. Nessun serata al giapponese sarà più la stessa, dopo questa esperienza! The sushi bar was a fantastic experience. Every piece of sushi was unbelievable, the sake carefully selected and the service was impeccable. I was worried it might be a bit stuffy but everyone was so kind and welcoming. It was truly memorable. Exquisite omakase experience, the food & service is excellent and the attention to every detail is truly impressive. Terrific and unique experience to sit at the bar and enjoy a curated 20-course dinner. EVERY SINGLE TIME we come here, we are transported, healed, fed and showered with the best attention. This is food as art in its highest form. We are extra grateful to Chef for remembering us and welcoming us and to Anthony Arvin for the spectacular wine journey on Monday night. THANK YOU THANK YOU! We cannot wait to come back. Incredible experience! It was delicious. Must visit for Japanese food lovers. The best sushi me and my friend ever had. Will back definitely. 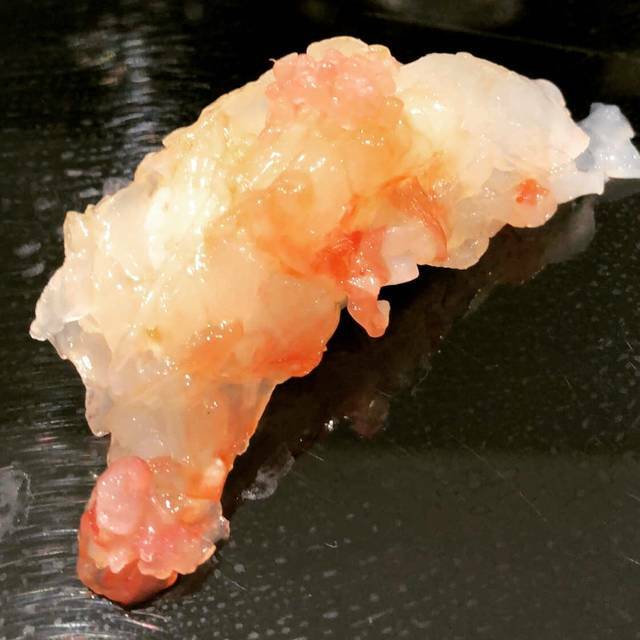 Great sushi with acceptable omakase pricing. Their food wasnt good, not even compare to other more price friendly restaurant. Best tasting sushi I’ve ever had in my life. Fantastic Sushi experience! Highly recommend this if you want a five star omakase experience from an experienced staff! We've been here many times and every single time is an amazing experience! Wish we could post the entire course but definitely get any and all add-ons if you only plan on going here once! As a huge Sushi Nakazawa fan, I was more than excited to take my brother to lunch at the sushi bar for his birthday. I was lucky to eat here last year and had an absolutely fantastic experience - which made me even more dissapointed in my most recent experience. 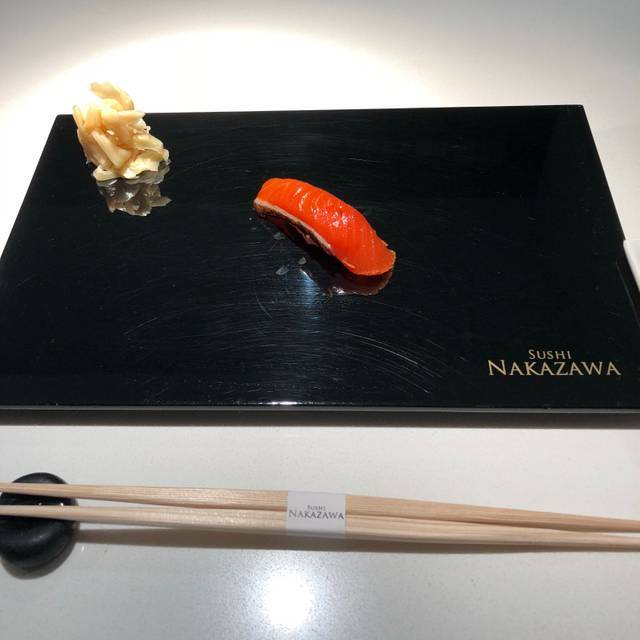 My brother has celiac disease, which can be an issue at other restaurants, but Sushi Nakazawa reassured us that accommodating his dietary restrictions would not be an issue - we made sure to call ahead of time, remind the host, and checked with our waiter twice. But unfortunately, within an hour after eating, my brother was extremely sick. We had the same exact meal and I was completely fine. 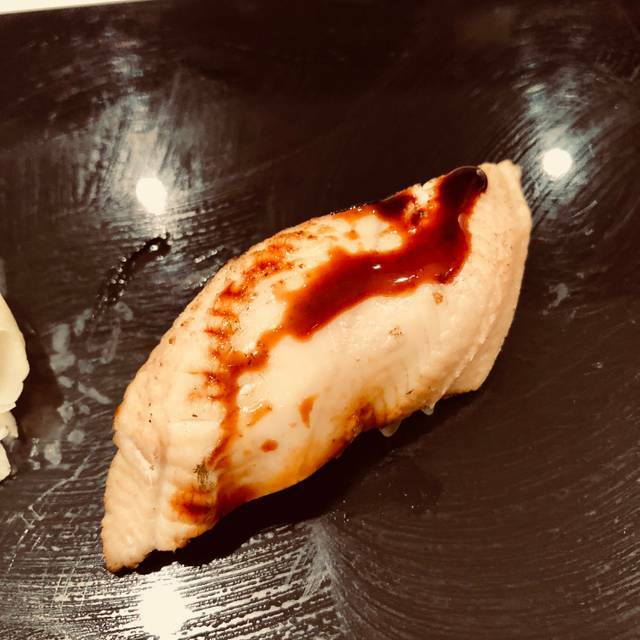 When you're paying the prices that you do at Sushi Nakazawa, and have been reassured that they can handle customers with celiac, it's quite frustrating when they fail to do so. The next day I called the restaurant to let them know what happened and the host kindly said they would have management follow-up, but 2 weeks have passed and I haven't heard anything - not even an apology. Shocking when you expect high quality customer service from a restaurant of this quality. This truly is an amazing sushi restaurant, but if you have dietary restrictions, eat at your own risk. As close to Japan as you will find in New York. Innovative touches on fabulous traditional sushi. Mind blowing and Amazing Perfection in every bite, expensive but well worth it. I had 7pm dinner at the bar with my husband for our anniversary. Our dinner experience was first and foremost time well spent together, made sweeter by the cozy ambiance, tasty omakase, delightful tea, and thoughtful service. We enjoyed watching the chefs at work and our exchanges with the staff were brief. If this is the kind of thing your after, go for it. Looking forward to our next meal at Sushi Nakazawa! Nakazawa was everything we expected. Could not have asked for a better experience. Will be back again and again. This was the best meal that I've ever had. The salmon was out of this world. Arguably the best Sushi Restaurant in NYC. Delicious from start to finish! My favorite place in the world. It’s a religious experience. Late Valentine’s Day celebration. Wonderful food and atmosphere and knowledgeable staff. 1) I didn't love that the servers kept coming over to ask if we wanted 40 dollar supplemental caviar, or 20 dollar truffle or that you had to choose between uni or wagyu but if you wanted both, there was an up-charge. We're pretty price insensitive when it comes to sushi but we hate feeling nickle and dimed at places. Also - doesn't omakase imply that the chef chooses? Not sure why they felt the need to keep asking us about ways to charge more. We would have much preferred to be charged 220 bucks vs 150 a person and just include everything. 2) We would have liked more engagement from the sushi chefs. 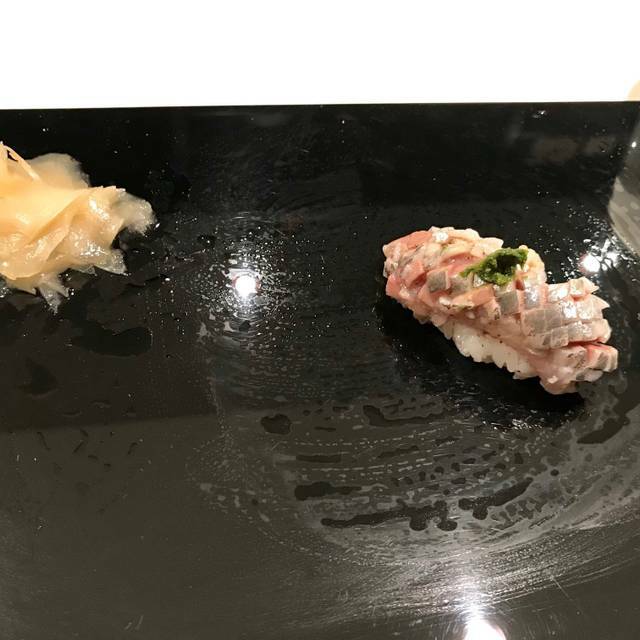 They pretty much run an assembly line and the chef who is in front of you doesn't actually serve you so there is another sushi chef that pretty much drops off the piece and then runs to the next person and drops off their piece. They have the waitress explain the piece behind you which means you are turning back and forth all night. The food was exquisite. I enjoyed the add-ons as well. I got there maybe 20 minutes early but since we were dining at the sushi bar, we had to wait for the other diners which I totally understand. As the chef plates a piece on your plate, he will tell you what it is, then there will be a staff member behind you telling you what type of fish, sauce used and where the fish was sourced from. Second time sitting at the sushi bar, and it was just as amazing as the first. Every course has been perfected, the order in which they are presented has been fine tuned, and the art of sushi has been mastered. 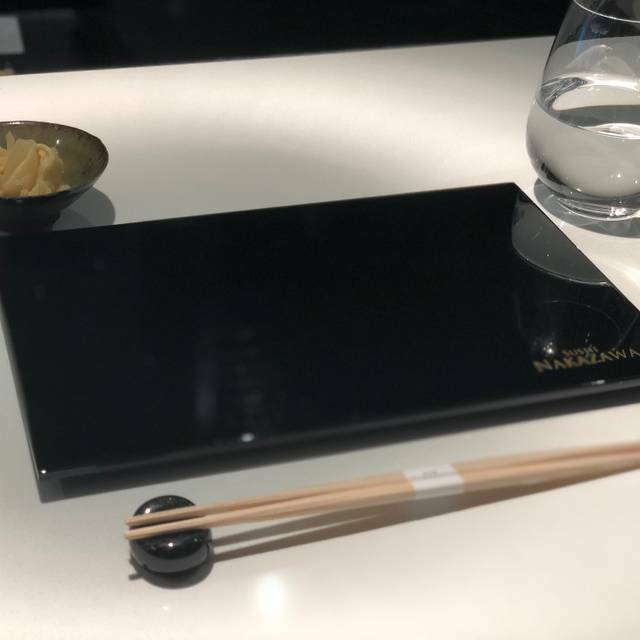 Food and service were exceptional but one suggestion for an improved experience would be to print out the menu which is always an elegant touch. I believe it would be a straightforward process as everyone is having the same menu with the exception of supplements. What a FANTASTIC experience! 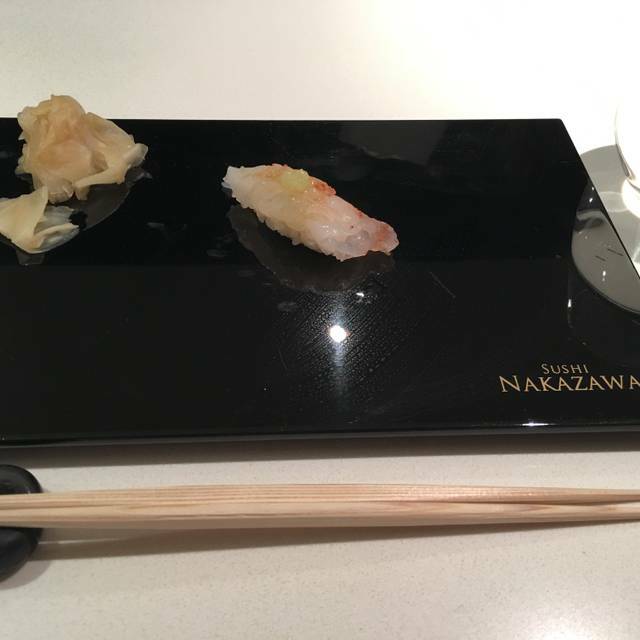 It was our second time dining at Sushi Nakazawa and we loved it. It met every expectation and the service was wonderful. We look forward to dining here again! This was my favorite restaurant in the city - no questions asked! But, I don’t think I will ever go back after this last visit. 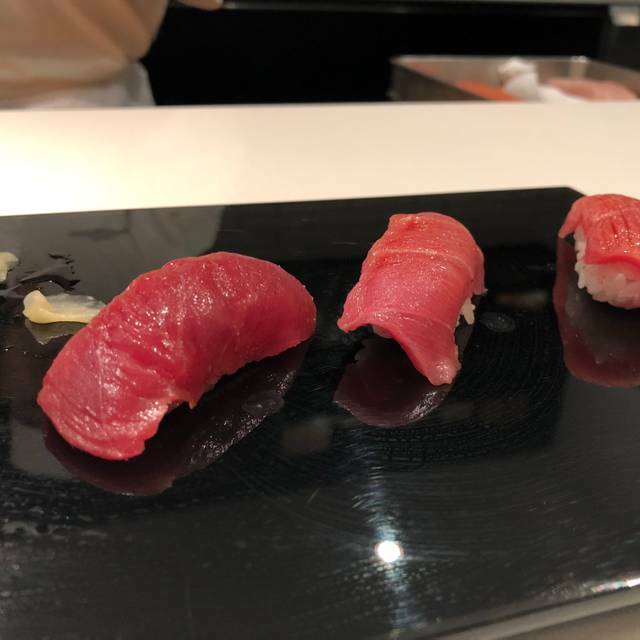 The quality of the fish was far below what I’ve come to expect from Sushi Nakazawa and the service, while great, has evolved into an up sell machine. We were offered 4/5 chances for supplemental pieces throughout the meal. That included the starter. It’s not the same place that it once was. Unmatched sushi experience. Loved trying things I normally would not order. Exceptional caviar with gold leaf, Uni, Wagyu beef with black truffle. Everything was amazing. A must try when in NYC. Unparalleled sushi dining experience. Wine pairing by sommelier Anthony was excellent. 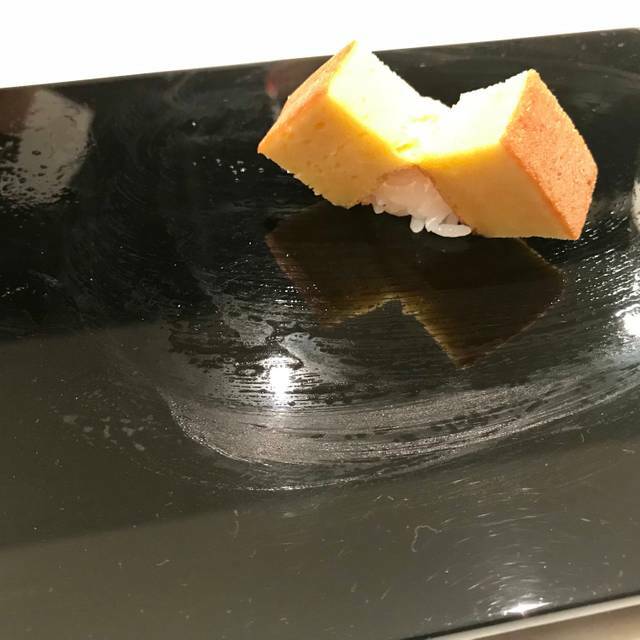 Absolutely delicious omakase. Go here for a special occasion, sit at the counter if you can get a reservation. One of the best meals I’ve had in my life.